Cards Made Easy offer the widest range of eye-catching premium business card materials in the UK, all of which are produced to exceptional standards and competitively priced with no hidden extras. For a professional finish pick one of our premium papers, a prime example of which would be our award winning Conqueror 350gsm with a wove finish. 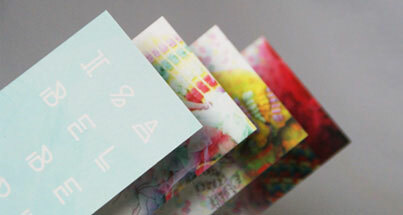 You can also add some glitz to your business cards by adding a subtle matt or gloss lamination. Matt 340gsm, Conqueror 350gsm and more. 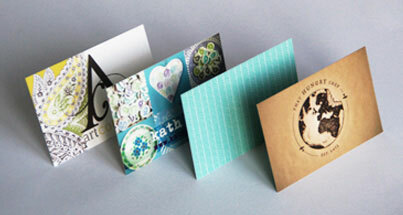 Cards are typically printed and delivered in 5 to 7 working days. More info. Our team are on hand to create your artwork for you. More info. Premium prices exclude VAT at 20.0% (where applicable). Prices are in British Pounds (GBP). Have used Cards Made Easy on several occasions - The service and communication have been first class and importantly the reproduction of cards has been a very good quality at a great price. I've been printing with these guys for a few years now and I've always had great service and no problems. The online order system is easy to use and my proofs are always correct. If you're part of a sales force large or small, presenting an average business card to potential customers is just not an option. Avoid paying a premium price for your premium business cards and choose one of our specially selected materials and attach a deep sense of professionalism to your business or organisation. Upload your own design or choose from our premium business card templates. A modern classic, our matt 340gsm has a smooth polished finish unrivalled by other materials on the market. Made from elemental chlorine free (ECF) pulp and FSC certified, it is also the responsible choice for professionals throughout the UK. In much the same way your cards make a statement about your business as a whole, recycled paper business cards reflect the sustainable values that matter to you. At first glance it would be difficult to tell this stock was made from recycled pulp, it has the same quality to the touch as our other mainstream uncoated papers.